According to the Bureau of Labor Statistics, employment of computer and information technology occupations is projected to grow 13 percent from 2016 to 2026, faster than the average for all occupations. As the demand for software engineers rises, the profile of a typical developer is changing. Many are entering the field with non-traditional backgrounds, and as a result, the tech talent pipeline is diversifying. This is good news not only for diversity and inclusion but also for business. Research has shown that increased workplace diversity correlates with higher financial returns. So, what to do if you’re contemplating a career change? Making a pivot to the tech industry doesn’t have to mean tossing your current skill set and knowledge to the curb. You can use both as you change your career path. Your unique knowledge and background may give you a broader understanding across industries than someone who has only worked in technology. What potential employers will look for is your authentic interest in and passion for technology. Read on to learn from the example of some American Express career changers. Previous career: After college, I worked on a coffee and cacao farm in Hawaii before moving to NYC and managing coffee shops. Aha moment: Neither my high school nor college offered computer science classes, so I was very unfamiliar with the field. However, after college I had a few friends who worked in programming, which sort of sparked my interest. After being out of school for a while and not feeling very challenged by my work at the coffee shop, I started to teach myself programming in my free time. As I was learning more and more, I realized how much I missed being challenged and thinking in a technical way, as I had enjoyed so much when I was in school. How I made the transition: I made the transition into programming when I started to realize my skills would improve significantly if I found instruction and people with the same interests to work with. I learned enough to feel comfortable applying to a boot camp and then fully immersed myself in becoming a programmer. 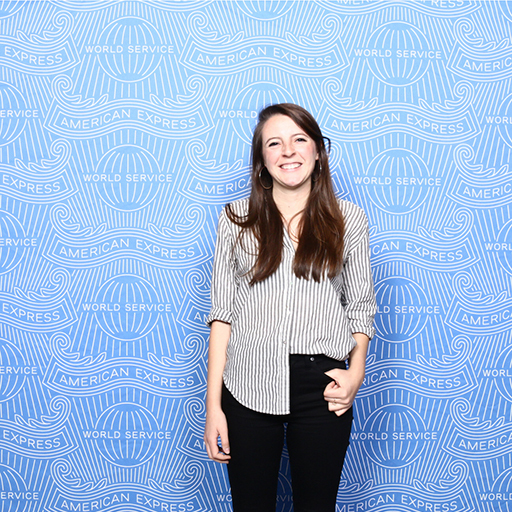 Role at Amex: I’m a Software Engineer on the US Digital Acquisitions team. I work on building the credit card application for small businesses. Because this was my first job as a programmer, I thought American Express would be a great place to grow in the field. Because the company is so large, it has offered a great opportunity to develop my skills through working with a diverse group of people. How I made the transition: I taught myself for about a year before joining Grace Hopper Academy, a boot camp exclusively for women. It looked like a really neat program, and I thought it would be great to learn with other people and with dedicated quality time (four months, six days a week, 9:00 a.m.-9:00 p.m.). So I signed up, passed the entrance exam, went through the program, and graduated with 22 other brilliant women. 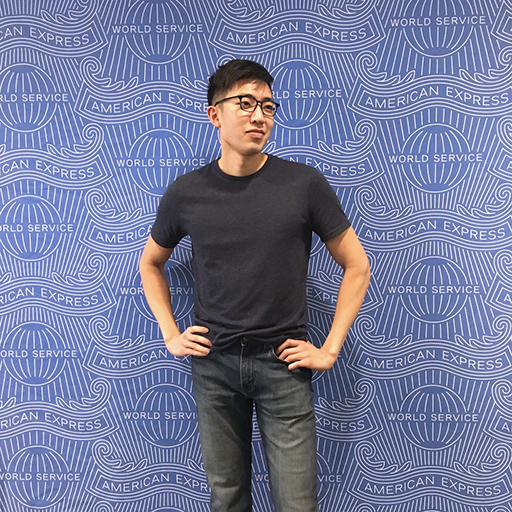 Role at Amex: I’m a Software Engineer with the New Initiatives team and am currently working on a React Native project. 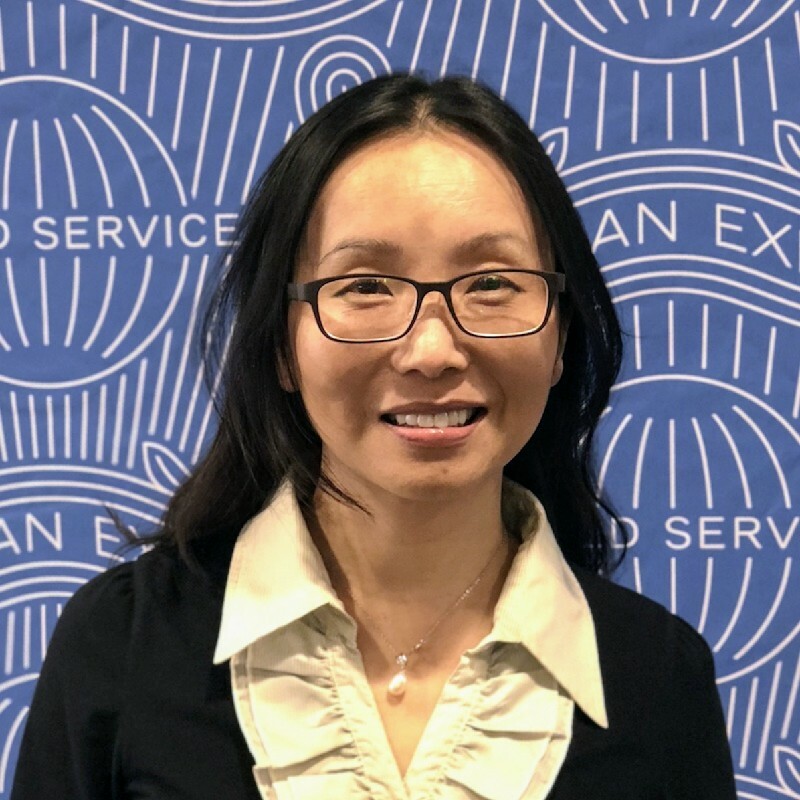 I chose Amex because I would have the opportunity to work on cutting-edge technologies while working for a company that impacts millions of people and faces a wide variety of interesting problems. Beyond that, everyone at my in-person interviews was smart and kind. Amex has a culture that takes diversity and inclusion seriously. The leadership at Amex, which includes many women, helps foster a welcoming environment. Advice: If you want to become a programmer and you have no prior experience, my advice is to just do it! It’s never too late to change careers. Remember the learning process as you grow. Don’t be afraid to make mistakes. The great thing about coming to programming from an unconventional background is that you bring to the table experiences others haven’t had. Be proud of your past. The tech industry is generally more concerned about whether you have the right knowledge and skills for the job than if you have a Computer Science degree. Worst case, you learn something new. How I made the transition: I didn’t quit my publishing job right away. For about half a year I spent my nights and weekends self-studying the basics. Then I read Designing Your Life: How to Build a Well-Lived, Joyful Life by Bill Burnett and Dave Evans. In short, it’s about how to take a design approach to your life, prototyping your ideas and not being afraid to fail fast. So I took the plunge and applied to Fullstack Academy. The 17 weeks I spent there were the most intense times I’ve ever had, and the most rewarding. 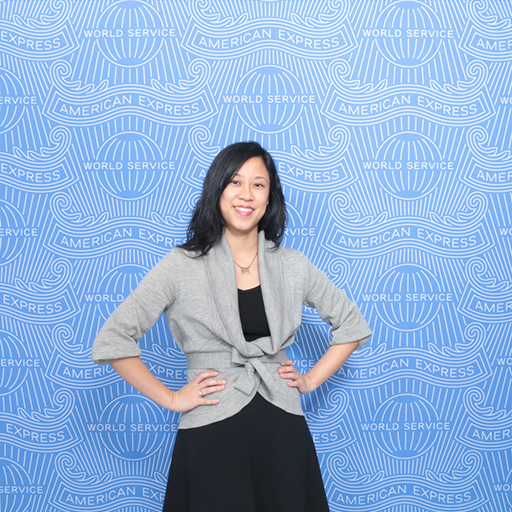 Role at Amex: I’m a Software Engineer on the Digital Acquisitions team. I work on the telemarketing app that Customer Care Professionals use to process applications over the phone for consumers and small businesses. What drew me to Amex was that it’s a large company with small engineering teams. It’s the best of both worlds. Things I’ve been able to draw on from previous careers: Recipes and functions are both sets of instructions. As an editor, I had to do a lot of rewriting to make recipe steps super fail-proof for someone who has never made a dish before. That kind of logical thinking came in handy when I started programming. Having copyediting experience also made me appreciate all the syntax rules in programming languages. Most rewarding thing: Realizing I’m a risk taker and can continue to grow and change in my career. Aha moment: Thinking about 3D rendering and filling up a notebook with math, I then realized that my problem had already been solved many times over by software engineers. How I made the transition: I moved to New York on a whim and saw an article in The New York Times about coding boot camps. 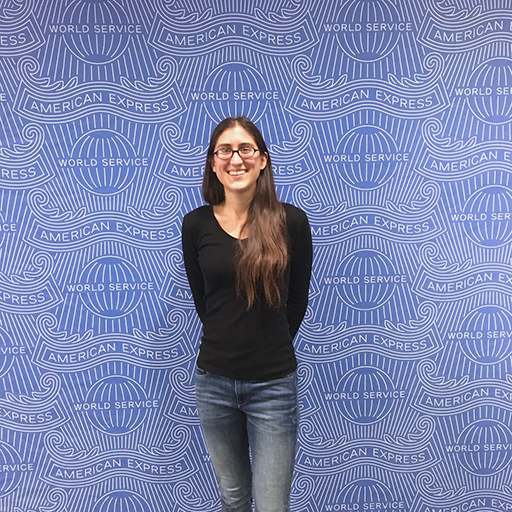 Role at Amex: I’m a Software Engineer on the Membership Rewards team. For the past year, I have been building modules to uplift the web experience for MembershipRewards.com. I mostly make use of React, Redux, and GraphQL. What attracted me to Amex was its scale, innovation, and friendliness. Things I’ve been able to draw on from previous careers: The logical, line by line flow of solving a complex physics problem can be applied to many of life’s challenges, especially when your challenges are code-related. How I made the transition: I found myself less and less in class and more on the internet learning about programming. Eventually started freelancing before attending Fullstack Academy. Role at Amex: I’m a Software Engineer working on the servicing web application used by customer representatives who support non-card lending. 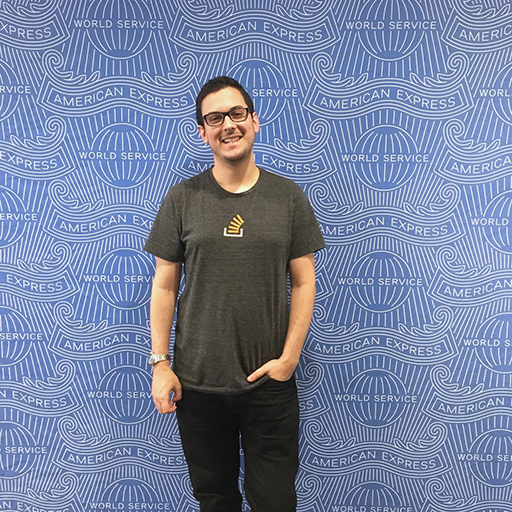 I chose to work at Amex to both learn about large-scale software infrastructure and to know that the software I write helps people, whether by enabling them to take out loans to fuel their business or by providing an aesthetically pleasing and easy-to-use UI that makes someone feel good. Advice: Programming is just as much an exercise in empathy as any other field. The best developer is the person who can work well in a team and enhance the abilities of everyone else, not the person that the team cannot function without. Changing careers is challenging, and it can take up to a year or more from writing your first lines of code to landing a software developer job. But the pivot to a new industry can be incredibly rewarding and fulfilling; technology companies need people who bring a broad range of interests, knowledge and experience to drive innovation and growth. So don’t be afraid to make the jump - but do take the time to make a plan to look before you leap. Are you interested in a career change? Work with us at American Express. The author gratefully acknowledges the contributions of Anna Garcia, Pimpila Howe and Simone Bott to this article.